The protestors attended a Liberal fundraiser last week to demand action for their communities, which have been suffering the effects of mercury poisoning since a chemical plant upstream dumped 9,000 kilograms of mercury into the English-Wabigoon River in the ’60s and ’70s. The Prime Minister has since apologized for his remarks and has promised that the protestors will have the full cost of entrance to the fundraiser refunded to them. However, his apology has not done much to reconcile with the communities at the heart of the issue. “Trudeau’s apology rings hollow while our people are suffering without the care and support that we need,” said Grassy Narrows Chief Rudy Turtle to the National Post. 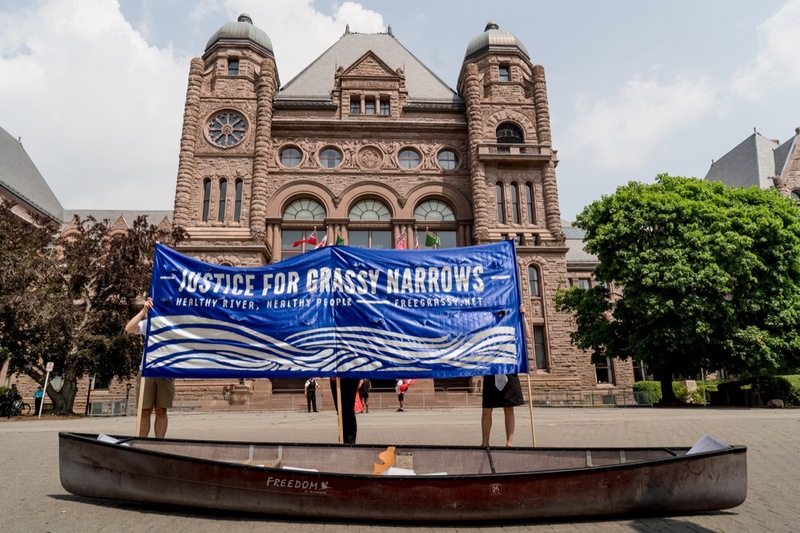 The communities of Grassy Narrows and Wabaseemoong, located in northwestern Ontario, were both promised long-term treatment centres for victims of mercury poisoning in November of 2017 by then-Indigenous Services Minister Jane Philpott. Construction on the Grassy Narrows facility was due to start last fall, but so far, no progress has been made. In December, the community of Grassy Narrows was told that construction was expected to begin sometime this June. “I acknowledge Trudeau’s apology, but more importantly he needs to deliver on his government’s promise to build a Home and Treatment Centre so our mercury survivors can be cared for with dignity,” said Turtle. Mercury poisoning is a severe medical issue due to several factors. For starters, there is no flushing mercury from the system: It remains inside the body and can be passed along to children born from mothers suffering from mercury poisoning. The effects of mercury poisoning include muscle weakness, poor coordination, numbness in the hands and feet, skin rashes, anxiety, memory problems, and trouble speaking, hearing, and seeing. In the long-term, mercury poisoning can result in severe kidney damage. 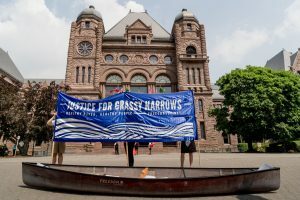 According to the CBC, 90 percent of the population in Grassy Narrows experiences symptoms of mercury poisoning, which has affected three generations of residents.